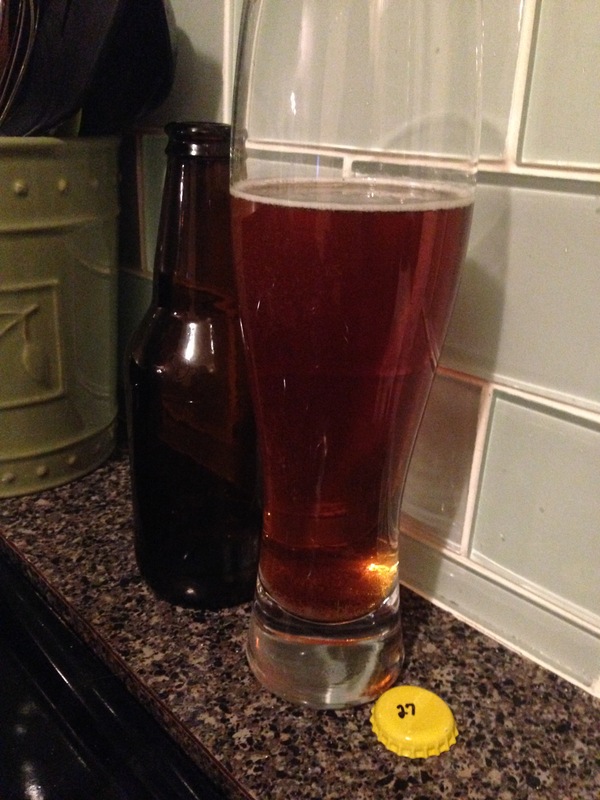 Batch #27 – Beer, Wheat | Because beer. This is a mysterious brew. Very little is known about its origins. It appears to have been brewed at Chris’s home sometime in November. It is now in bottles with yellow caps. It contains wheat. As far as we can remember, it was an extract kit Ross got online in some kind of sweet deal and contained about two ingredients. I think we brewed it after a minor hiatus as an easy one to get back into the swing of things. Finally bottled it in early January and gave it a taste. Wasn’t bad! Funny that sometimes the brews for which you don’t plan, worry, strategize, or expect great things can be the ones that turn out OK. Of course, we know the inverse can also be true. We’ll have to see how this matures a bit, but this could be a good one to sit on until spring arrives.